Buffalo Police say man pulled up to student twice while walking in the Ferry/Fillmore neighborhood. 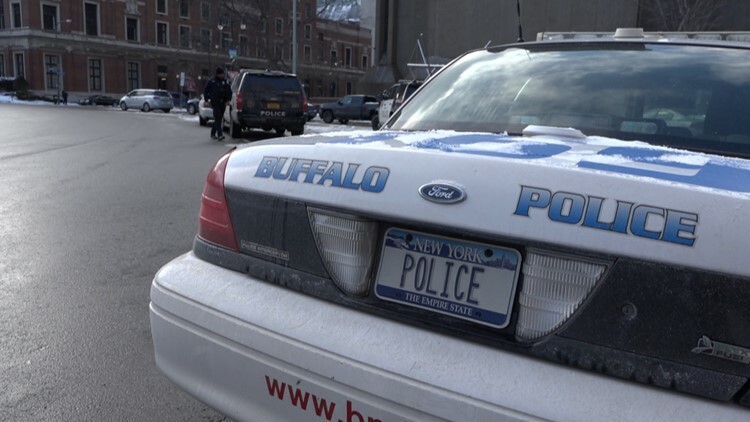 BUFFALO, N.Y. — Buffalo Police are on the lookout for a white work van with a ladder on top and green and orange stickers or logos with writing. They say a female student was approached by the driver of that vehicle after she got off a Metro bus Friday morning. She told police the man pulled up to her twice as she was walking from Ferry, down Fillmore and toward Northampton. The driver asked her age and sped off when he got no response. He circled around one more time and that's when the student called her mother from her cell phone. The man drove off and the student continued on to school where she reported what happened. The man is described as black, about 30, with a medium beard and medium high, unkempt hair. He was wearing a black hoodie with the hood up.